The Virgo woman is a charged, balanced and a strong personality. She likes order and routine in her life. The Aquarius man is also a balanced and has a strong personality. However, he is not the best example when it comes to order and routine. He may not be the one who likes to plan his dates weeks in advance. He is also not the one is always on time. Although he is very energetic and always pumped up for an active social life, he is not likely to do it in the most organised way. The Virgo woman on the other hand, thrives on being organised. This can be cause of friction between the two. The Virgo woman can also be very critical of people who are not organised. 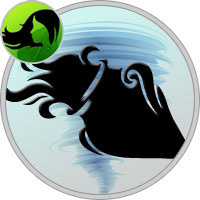 She may at times be fierce and not hold back showing dislike for the Aquarius man’s care free attitude. This friction will need adjustment and compromise from both sides. The Aquarius man is a born actor and it will not hurt if he puts his skills to use, especially here! He can do little things like showing up on time, keeping common spaces tidy, and maintain a decent level of schedule in things that affect both partners in their day to day lives. This will keep the Virgo woman happy. On the other hand, she will need to acknowledge the freedom that the Aquarius man likes to have at times. She may need to step back a bit and allow room for a tiny bit of chaos, at times. This will be tough, but very necessary for the relationship to be free of aggressive arguments. Romance levels in this relationship may go from high to low in this relationship. The Aquarius man and the Virgo woman are both intellectually strong. The strategist Virgo woman will look into the Aquarius man’s eyes and demand what she wants from him. The outspoken Aquarius man will charm her with his witty nature. The look in the eyes of both partners will be crisp and inviting. Although the Virgo woman is not extremely sensitive, her emotional outlook is definitely not as dry as that of the Aquarius man. Both partners will again need to reach common ground to keep the spark alive in their relationship. Love relationship between the Aquarius man and the Virgo woman are not only satisfying and exhaustive, they play an extremely vital role in the relationship. This is probably one of the few elements in which the needs of both partners align. It is a very important form of communication. It will not be surprising if many arguments are eventually settled in the bedroom! What better way to argue? The aggressive Virgo woman will demand all the passion that the Aquarius man has, who will surely love the attention. Both partners will draw ultimate physical pleasure and love each other’s company in the bedroom. The Aquarius man loves his freedom and feeling of being independent. The Virgo woman should not have any apparent issues with this. When the relationship is thought from a long term perspective, the organised Virgo will definitely make a good family woman. She will like to care for her loved ones. She might even be the rock in the Aquarius man’s life. The Aquarius man on the other hand, is very loyal and true in relationship, even though he may not show this side of him in an emotional way. The relationship will surely need a bit of work. It is up to the commitment and dedication of both partners. If they are willing to accommodate for each other’s typical traits, it is surely possible for the spark to go on and on!